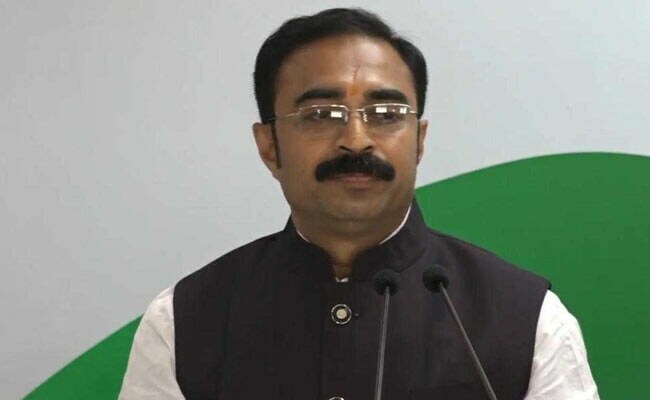 Sanjay Singh Masani, the brother-in-law of Madhya Pradesh Chief Minister Shivraj Singh Chouhan, has been given a ticket by the Congress from Waraseoni assembly seat in Balaghat district. While joining the Congress on Saturday last, Mr Masani -- the brother of Mr Chouhan's wife Sadhna Singh -- had said the state needed a leader like state Congress chief Kamal Nath and not Mr Chouhan. Waraseoni seat is currently represented by Yogendra Nirmal of the ruling BJP. A resident of Maharashtra, Mr Masani's name figured on the fourth list of 29 candidates released by the Congress on Wednesday. With the latest list, the Congress has so far announced names of 213 candidates out of a total 230 seats for the November 28 assembly elections. In the latest list, the Congress has changed the candidature of Ashok Tyagi with Masarrat Shahid, an aide of Congress leader Digvijaya Singh, and Hamid Kazi with Ravindra Mahajan from Sironj and Burhanpur seats, respectively. "In the first list, the name of Hamid Kazi was announced from Burhanpur, but he has himself returned the ticket due to some legal issue. So, the party has fielded Ravindra Mahajan in his place," a Congress spokesperson said. The Congress announced its first list of 155 candidates on Saturday last, in which it re-nominated 46 legislators. It announced the second list of 16 candidates the next day. On Monday night, the Congress announced a third list of 13 candidates.